Great set of models here. Bringing those old model up to modern-retro is a great idea, and done well. I especially like the cameraman! 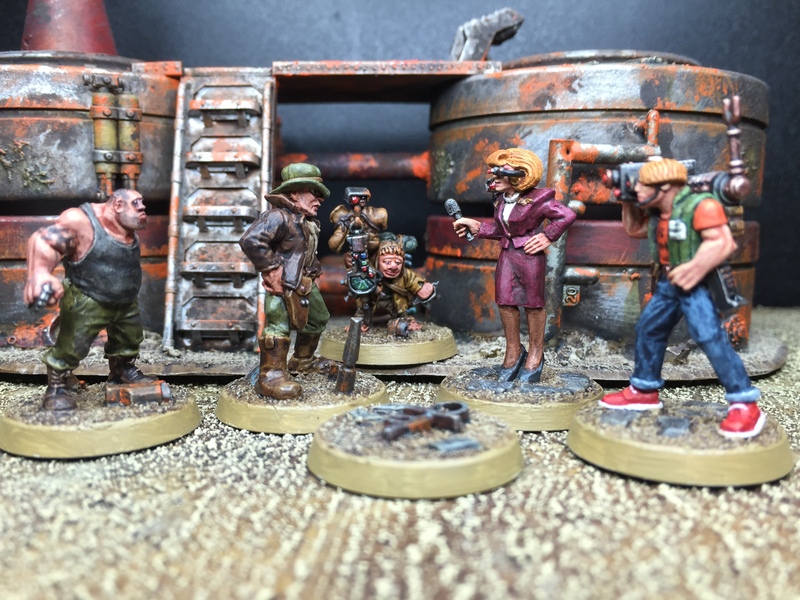 Great models, they’re absolutely nice to add some fun in a skirmish game. 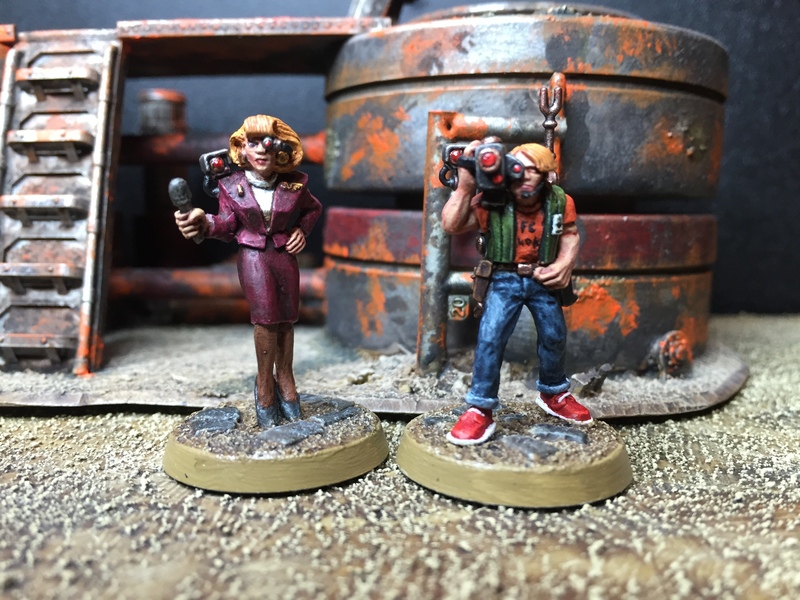 Colin from the Leadpile and Paul from Sho3box used the very same camearman and anchorwoman in a game and it was excellent to see here get on the way of the players by asking question all the time ! Thanks mate – I’m happy to be irritating in this regard ;-) Lovely read & pics from 2014 dude, very inspiring, makes me even more determined to make it next year! Ha! I like it (it’s full of puns – how could I not!). 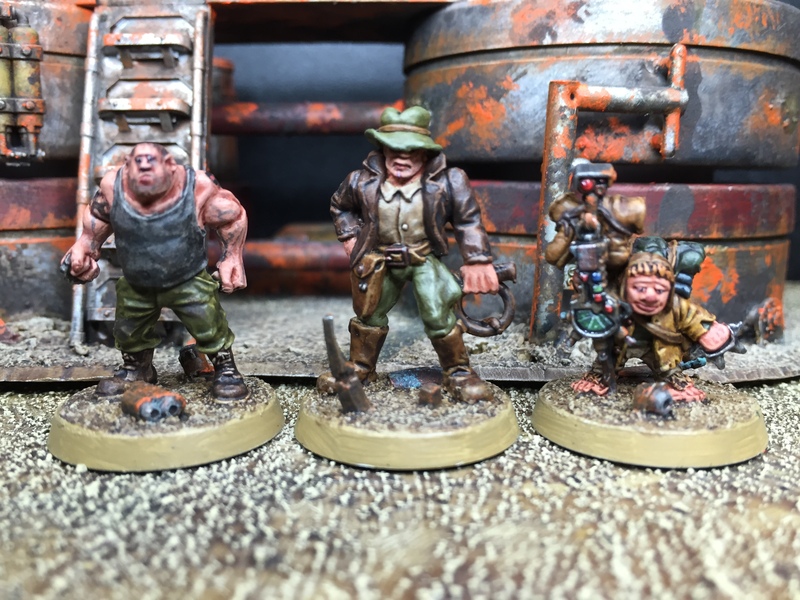 The subtle 40k-ifying works really well (the Halfling especially is spot on). 😊 Thanks mate, I had good fun writing it. You’re spot in about Moonraker, they have some beauties! Hahah great stuff Mate. I like the denim wash on the camera mans jeans. I want to know more about Jonas too! Is he a famous xeno-archaeolgist?